The NASA Twins Study is the most comprehensive integrated multi-omics, molecular, physiological, and behavioral analysis of how the human body responds to space flight to date. Study results were published in the April edition of Science. The study consisted of 10 teams of investigators around the nation who have been observing and assessing identical twin astronauts, Scott and Mark Kelly. Scott Kelly flew aboard the International Space Station (ISS) for 342 days in 2015 and 2016 while his identical twin brother, Mark Kelly, remained on Earth. Rana’s co-investigators at the Johnson Space Center in Houston and Alan Hargens at UC San Diego conducted physiological measures aimed at capturing the development of SANS and cardiovascular changes due to space flight. In parallel with the physiological studies, Rana’s team, consisting of Jamila Siamwala, Hemal Patel, Michael Ziegler, Vivian Hook, Dorothy Sears, Kumar Sharma and Manjula Darshi, conducted metabolomics, proteomics, and mitochondrial function analyses. Twin Investigators coordinated sample collection and transport from the ISS and also collected samples in Russia when Scott Kelly returned to Earth via the Russian Soyuz spacecraft. The physiological and omics data were integrated with that of the other nine investigators to create a comprehensive view of the molecular, physiological and behavioral view of the human body in space. One of the findings from Rana’s study was an increase in collagen proteins in urine in space flight, which correlated to physiological measures indicating vascular remodeling during space flight. 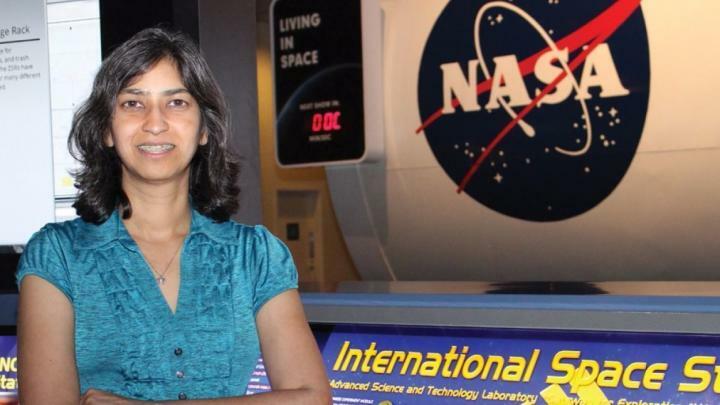 Rana is currently complementing her studies in space with two additional NASA-funded ground analog studies of human participants in simulated space environments. “The overall Twins Study demonstrated the resilience and robustness of how a human body can adapt to a multitude of changes induced by the spaceflight environment, such as microgravity, radiation, circadian disruption, elevated CO2, isolation from friends and family and dietary limitations,” said Rana. Other co-investigators working with Rana included Tomas Vaisar and Andy Hoofnagle at the University of Washington; Immaculata De Vivo at Harvard School of Public Health; and Stuart Lee, Brandon Macias and Mike Stenger at the Johnson Space Center. Media Contact: Jackie Carr [email protected] 858-249-0420.